Drs. 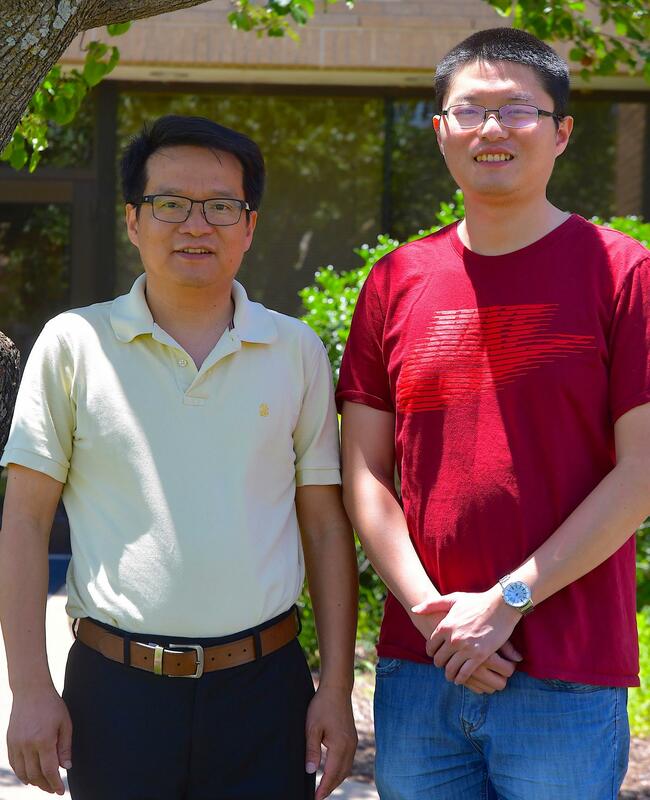 Xiuren Zhang and Dr. Zhiye Wang, along with a team of scientists in the department of biochemistry and biophysics and Institute for Plant Genomics and Biotechnology at Texas A&M University in College Station have had their findings published online as a full article in the journal, Nature, https://www.nature.com/articles/s41586-018-0135-x. "Also, the shape of the substrates is very critical for microRNA production," Zhang said. "If the shapes are changed, then the substrates do not fit the Dicer scissor and can not be cut, and microRNAs are not made." "We are interested in finding whether there are other workers in the factory," Wang said. "We used Serrate protein as a fishing bait to catch the prey; and we caught chromatin-remodeling factor 2 (CHR2)." "It also has a nickname Braham, after a creator God in Hinduism that has four heads and multiple arms, representing brilliancy and power," he said. "It loosens chromatin where DNA is packed so that RNA-producing enzymes can now access the DNA templates to make RNAs including the long substrates for microRNAs," Wang said. "This is really surprising. We asked, why does CHR2 leave its own home in the chromatin and elope with Serrate into the microRNA producing factory?" "This totally makes sense because the chromatin cannot be opened for the RNA-producing enzymes. However, the amount of final product microRNA is even increased–this is an unexpected thing," Wang said. "That meant CHR2 must have two faces: it behaves well in its home chromatin, but is a disturber in the microRNA-producing factory, causing a malfunction." "Indeed, the scissor failed to cut the substrates anymore," he said. "The same thing happens if the tie between CHR2 and Serrate protein is broken," he said. "That meant, CHR2, when brought into the factory by Serrate, changes the settings inside the factory through its motor activity." "The results are significant because they provide an additional unknown layer of microRNA level regulation. For the first time an explanation is provided for many earlier reports showing that the level of microRNA substrates in many cases does not reflect the amount of mature microRNA", according to one reviewer for the paper. "The study is novel and exciting. It shows that the secondary structure of microRNA substrates contains a new informational code that needs to be interpreted by CHR2 and Serrate proteins (before operation of the factory)", according to the other reviewers for the paper. "CHR2 ATPase and its associated partners in the SWI/SNF complex are immensely implicated in numerous physiological disorders and diseases in plants and human," Zhang said. The groundbreaking work from Zhang's lab reveals the two separate functions for CHR2 in production of microRNAs. "The work identifies a unique gene-editing target to control microRNA amount for systematically improving agricultural traits such as plant architecture, yield, quality and response to hostile environments," Zhang said. In human the SWI/SNF complex have been known as a potent tumor suppressor," he said. In fact, mutations in SWI/SNF components have been found to occur at a frequency of greater than 20 percent across a spectrum of human cancers.